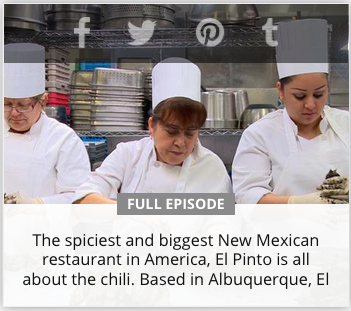 El Pinto Restaurant in Albuquerque, New Mexico is the focus of the a new culinary-themed lifestyle series, Big Kitchens, airing on A&E's FYI Network. The 30-minute episode, “Massive New Mexican,” goes behind the scene at El Pinto Restaurant and the salsa manufacturing facility to reveal some of the tricks that keep this 1,000 seat restaurant humming. The program is launching this month in the United States, and El Pinto is hosting a free celebratory screening event on Tuesday September 15th at 5 p.m. Free appetizers and rock bottom margarita specials will be going on from 5 p.m. until 6 p.m. during the screening. Numerous patrons to El Pinto are interviewed in the new episode that celebrates New Mexican cuisine and all things chile. 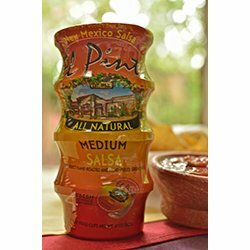 “We were sought out because of El Pinto's massive kitchen, but Big Kitchens is going to be big for Albuquerque tourism as it expands the love of New Mexico green chile around the world,” states Douglas Evilsizor, Marketing Director. He continues, “This is the most widely distributed culinary lifestyle program focusing on Albuquerque the State has ever seen.” In addition to reoccurring broadcast in the U.S on A&E, the program has been purchased by Scripps Networks for Travel Channel UK, as well as Europe, Middle East, and Africa. Shaw Media is taking it to the Food Network in Canada and Seven is broadcasting in Australia. “The incredible culinary feats combined with the larger-than-life characters lend global appeal to this major new series and we're delighted to work with a raft of high quality broadcasters across international territories,” said Carlo Massarella, creative director and executive producer for U.K based Windfall Films which produced the series, in a statement. Over the 52-year tradition of El Pinto, the restaurant has helped to put New Mexican cuisine on the map as it has prepared green chile based cuisine within the White House presidential kitchen and provided “take-out” direct to Air Force One on the tarmac in Albuquerque. In addition to serving presidents, cabinet secretaries and military generals, local residents continue to independently voted El Pinto Restaurant the Best New Mexican Restaurant for multiple years running as well as its patios as the Best in the City in the annual Albuquerque The Magazine readers poll. El Pinto Restaurant and Salsa Co. continues to expand in its 52nd year with an emphasis on serving nutritious, locally raised, and organic foods. El Pinto Restaurant has grown from a few tables in one room started by John and Jim Thomas' parents, to become the most famous restaurant in New Mexico with beautiful patios, natural wood burning fireplaces, and healthy New Mexican cuisine. 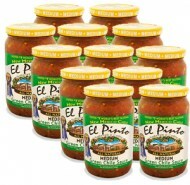 El Pinto Salsa has recently expanded with the addition of a convenient single serving 4oz chopped green chile cup. The restaurant and salsa manufacturing facility are co-located on property in the North Valley of Albuquerque, New Mexico. Twin brothers, John and Jim Thomas, are turning to the Internet to raise funds to launch a New Mexico based travel adventure TV show. The program, named Raw & Wild, rediscovers raw and wild indigenous foods growing across New Mexico. With funding as the first major obstacle to getting any TV program off the ground, they are embracing Kickstarter.com to help fund a small portion of the entire production costs necessary for the pilot. In line with Kickstarter.com guidelines there are a set number of days to raise all the funds, or the project receives nothing. The Thomas' project has a 31 day fundraising window, from start to finish. If the allotted budget ($17,800 US) isn't raised before February 12th, all pledges are cancelled and the project will not be funded. This funding is a portion of the $50,000 budget necessary to bring the pilot to completion. The balance is being funded by the Thomas brothers. The series, Raw & Wild, takes viewers across New Mexico exploring the unique natural beauty found across the diverse state from the 13,000 foot peaks of Taos to the depths of the Carlsbad Caverns. As the brothers travel New Mexico, they rediscover indigenous foods naturally growing throughout the region. There are people across the state who live off the land, and the show will have fun meeting these unique characters while teaching viewers simple ways to find raw food out your backdoor. Raw & Wild will showcase the beauty, the adventure, the people, and naturally healthy food of New Mexico. When asked about why Kickstarter was appealing, John Thomas noted, "the ability to spread the word quickly online to a lot of people, and keep them updated on the status of the project is invaluable." Over the 53 year tradition of El Pinto, the restaurant has helped to put New Mexican cuisine on the map as it has prepared green chile based cuisine within the White House presidential kitchen and provided “take-out” direct to Air Force One on the tarmac in Albuquerque. In addition to serving presidents, cabinet secretaries and military generals, local residents continue to independently voted El Pinto Restaurant the Best New Mexican Restaurant for multiple years running as well as its patios as the Best in the City in the annual Albuquerque The Magazine readers poll. 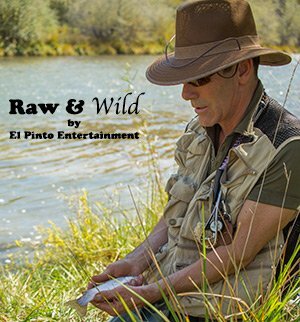 Established in 2015, El Pinto Entertainment is the production company managing the made for TV docuseries, Raw & Wild. 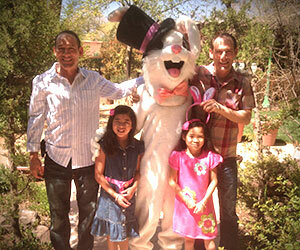 The show travels picturesque New Mexico as the hosts, the Salsa Twins, rediscover raw foods in the wild. The Twins, John and Jim Thomas, have grown up in the food business since age 4. Now they feel the social responsibility, in an age of over-processed and undernourishing food, to go back to the earth to rediscover raw foods and share that knowledge with the world. 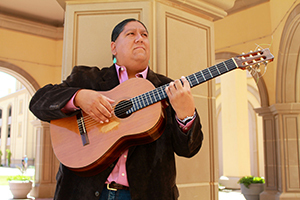 El Pinto Restaurant in Albuquerque, New Mexico is mixing in with its cuisine the guitar rhythms of the Yaqui Nation’s Award winning guitar virtuoso Gabriel Ayala. During the annual Gathering of Nations Pow Wow in the Duke City, Ayala will perform at El Pinto Thursday before the Pow Wow and Friday. Ayala is an internationally acclaimed classical guitarist with notable performances before the Pope in Rome, Italy, at the John F. Kennedy Center for the Performing Arts, and at the Presidential Inaugural Ball for President Obama. For two evenings, Thursday, April 24 and Friday April 25, 2014, Ayala will fill the air for an up-close and intimate performance with music which he says is best described as “JazzMenco” – an audible collaboration of classical guitar and flamenco vibrancy. Performances will begin at 5 p.m. and will be free and open to dining guests with a conclusion at 8 p.m.
“I’m thankful that El Pinto has invited me to showcase my music to accompany an incredible establishment of such fine cuisine,” said Ayala who prides himself with stretching people’s perceptions of the Native American musical genre. Ayala has shared his music both nationally and internationally including performances at the Poway Center for Performing Arts, John F. Kennedy Center for the Performing Arts, and the National Museum for the American Indian.